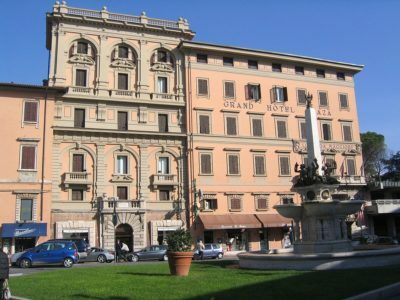 Born around 1800, Montecatini Terme is a young town with the main characteristics of the “Art Noveau”. 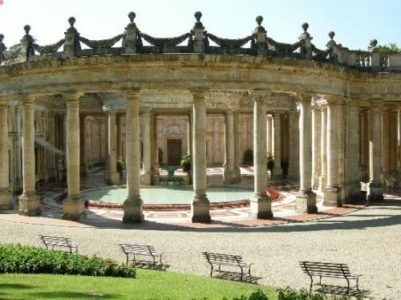 Todays it is internationally famous thanks o the Spa, 460.000 square metres of park makes Montecatini Terme the undiscussed capital of the welfare, care and relaxation. 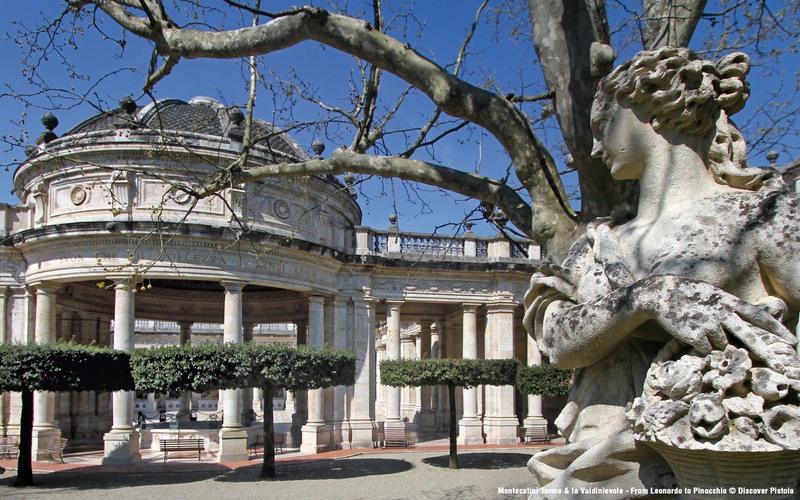 Characterized by wide green parks, spas equipped with the most innovative technology solutions , local history and architecture dating back to the “ Belle Epoque , wonderful spas frescoes and decorated in “Art Noveau” style. This is Montecatini, a relatively young city born, between 800 and 900 developed around its most precious asset, the thermal waters which have always been known for their healing and rejuvenating qualities. Montecatini is easy to reach and it boasts an excellent location for those who intend to visit Tuscany, full of beautiful art cities. 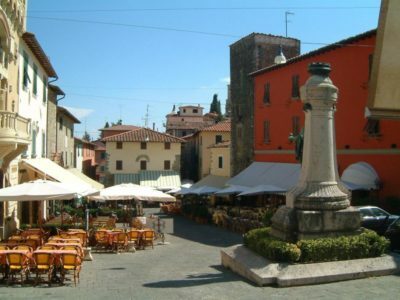 Staying in Montecatini you can enjoy the quiet of a Spa town, the pure nature and the wonderful works of art. 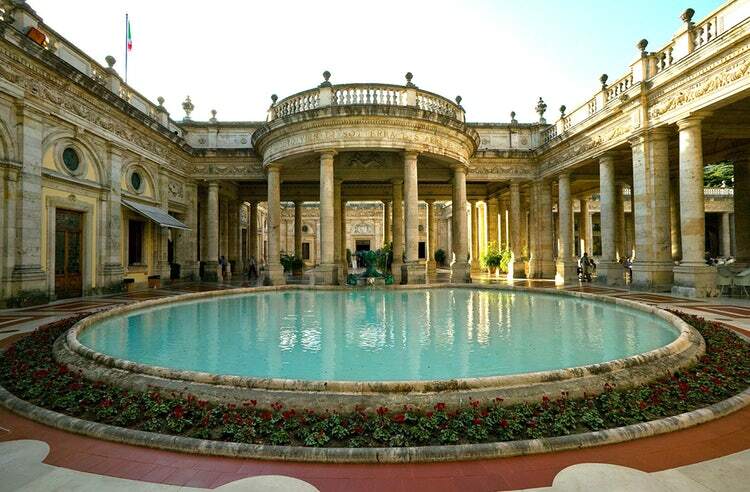 Montecatini Terme is a tourist town and for this offers many opportunities for recreation. For those who love sports and sporting events there is the race- course where races are held at international level, and also golf-course and basketball. 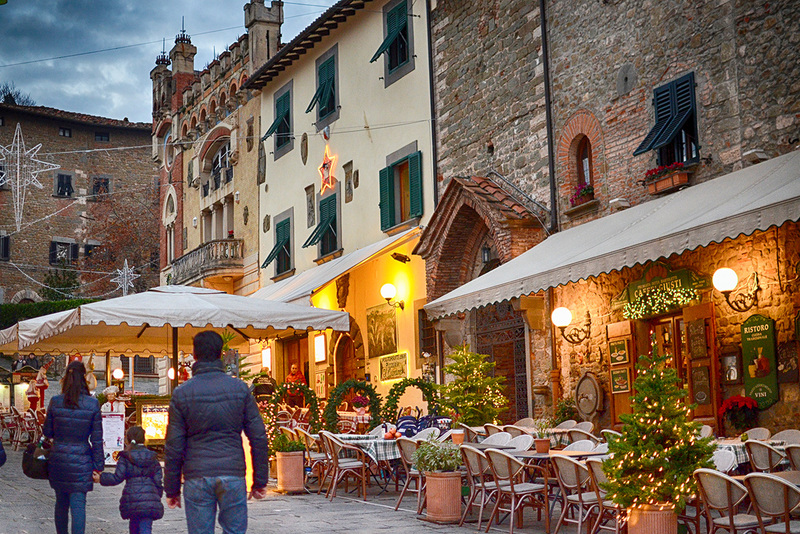 For those who love shopping, Montecatini offers a wide selection of shops, from the workshop to the boutique. Montecatini also provides evening entertainment ; various venues from the restaurants where we serve excellent dishes of typical tuscan kitchen to continue with local with music and disco. 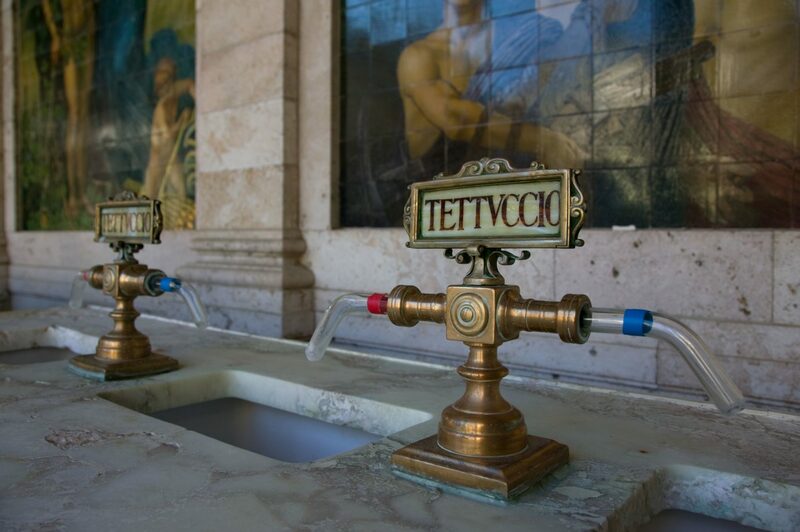 The curative properties of the waters of Montecatini are known since Roman times. Definitive information about these sources date back to the fifteenth century, however when Ugolino Simoni, renewed physician and founder of “ Italian medical hydrology, studied the waters by publishing the results of his research in the treaty “ De Balneorum Italie Propietatibus “ ( 1417 ). 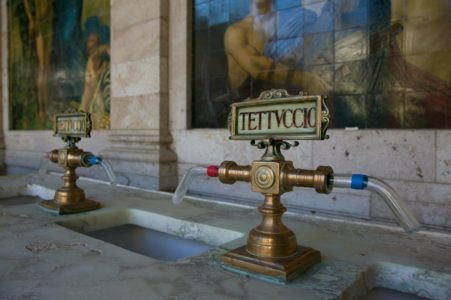 In the work, the author lists and comments with extreme precision the therapeutic waters of Montecatini Terme. Towards the middle of 1700 the Grand Duke of Tuscany , Leopoldo, laid the foundations for the channelling of the water and the building of thermal establishments. 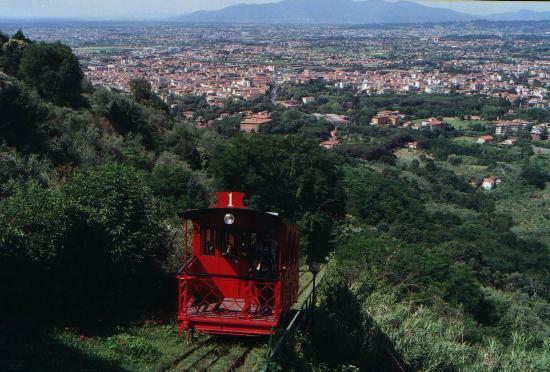 Very famous in Montecatini Terme is the “ Funicolare “, a red coloured cable car that creates contact between the modern town with the ancient centre, of origin before the year 1000. The Funicolare, dated 1850, yet fully functional, keeps the cars out from the historical centre. Montecatini Alto is an opportunity for visitors to walk in an ancient village while offering modern comforts. Montecatini Alto was a castle of Roman origin to 299 meters of altitude. 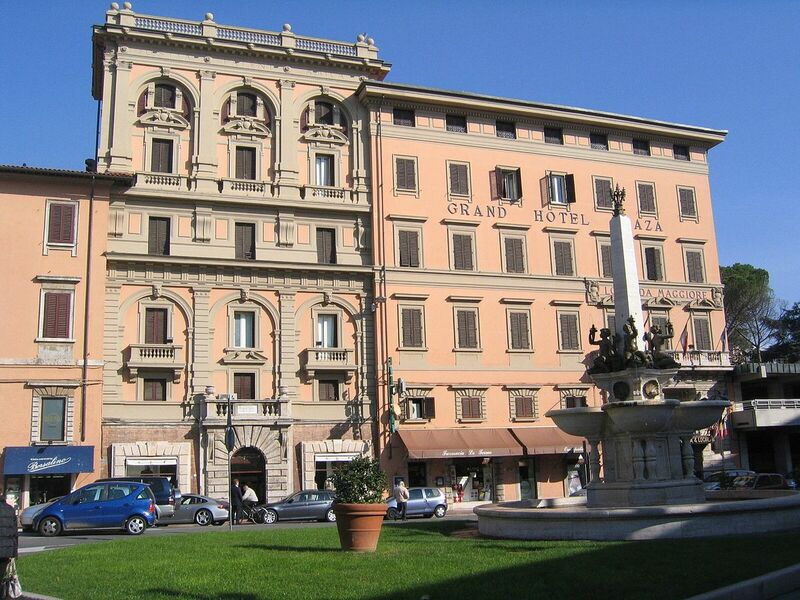 This ancient castle which was the seat of the city hall until 1905 gave rise to Montecatini we know today. Initially, the only existing Montecatini was on the hill, and the other spas were only a swamp below the castle. 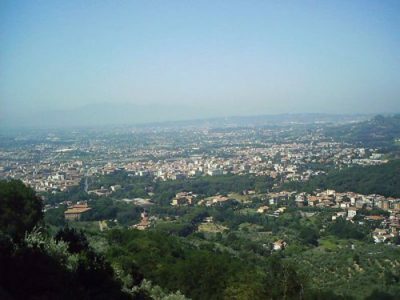 In Montecatini Alto one can visit the castle dating back to Romanic origins, of important historical interest . 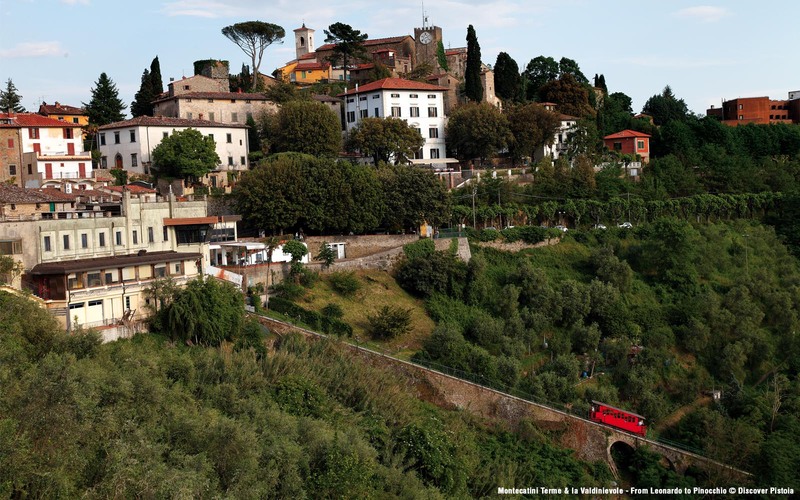 Visitors can reach the medieval town by “ funicolare “ a red coloured cable car dating back to 1886 or by foot across “ la corta “ a beautiful trail that climbs through olive groves and chestnut trees. It can be reached also by car, where half way up the road one can find the “ Grotta Maona “, a beautiful natural cave and the only one in Italy that has an entrance at one side and an exit at the other.